According to the Centers for Disease Control and Prevention, drowning is responsible for more deaths among children under the age of five than any other cause except birth defects. The sad reality is that each unintentional drowning could have been prevented if the proper safety steps were taken in advance. This video covers some of the most important steps you can take to keep your family safe around your pool and spa. If you’re still in the process of designing your in-ground swimming pool, consult with an experienced pool contractor in Greenville, SC about different safety features for your pool. Things like pool fencing, water entry alarms, and automatic pool covers can all help prevent a terrible tragedy by making your pool safer. Building an in-ground swimming pool is just the first step of an elaborate backyard transformation. By transforming your backyard into a functional outdoor living space, you’ll have more room for the things that matter, like entertaining guests and relaxing with your loved ones. The process of transforming your backyard is made easier by working with an experienced backyard redesign contractor in Greenville, SC . To help you get started on your redesign, here are a few tips to keep in mind when it comes to your new outdoor living space. When designing your new outdoor space, try to inject some of the comforts and conveniences of the indoors. For example, if you have a covered porch, living room furnishings like a wool rug and overstuffed loveseats can create a comfortable outdoors retreat. An outdoor kitchen is another area where you can incorporate indoor appeal with countertop appliances, televisions, and other electronics. There’s nothing wrong with an open backyard design, but you’ll want to offer some protection against the elements for yourself, your family, and your guests. A covered patio, for example, can provide much-needed shade in the summer and a safe, dry place to watch winter storms. If you don’t want to invest in a large construction project like building a covered patio, you can install a pergola and grow climbing vines, such as grape, over the structure to provide extra protection from the sun and rain. A well thought out backyard redesign should incorporate different types of spaces for different occasions. For example, you may want a large fire pit area for entertaining multiple guests and a quiet, tucked away area for more intimate and romantic occasions. When designing different spaces, look at your backyard as a whole and take into account the placement of your in-ground swimming pool to keep your outdoor living space from feeling cramped. An in-ground swimming pool is a major investment, so why would you want a pool that looks like every other pool in the neighborhood? When you work with a custom pool builder , you can personalize the design of your pool to reflect your style and transform your backyard into a cohesive and complementary outdoor living space. There are many different options when it comes to personalizing your in-ground swimming pool. In addition to the actual size and shape of your pool, which can be as standard or custom as you wish, you can choose from different water features, lighting solutions, and landscaping and/or hardscaping features to make your pool a unique work of art. An experienced swimming pool contractor in Greenville, SC will be able to discuss in greater depth and detail all of the options you have for customizing your new in-ground swimming pool. Having a swimming pool built is a joyous time for you and your family, as it means you’re that much closer to having the beautiful and relaxing backyard oasis you’ve always dreamed of. 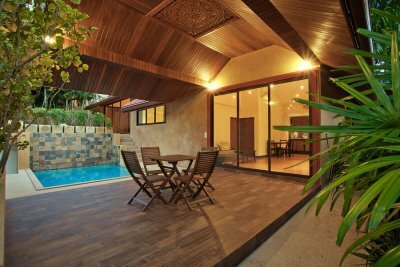 But like any other major construction project you undertake for your home, building an in-ground swimming pool can bring some stress along with the joy. To help the process go as smoothly as possible, here are a few important things to know about building a pool in Greenville, SC . Before you begin designing your swimming pool or looking for a pool contractor, first verify that you are able to build a pool on your property. 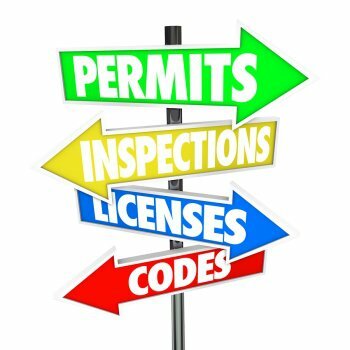 Local zoning laws and HOA regulations may affect your project, so it’s advisable that you get the green light beforehand from zoning officers and/or HOA representatives. Your pool contractor should be well versed in obtaining the necessary permits for your pool construction project. As you move into the next stage of the project, you’ll need to find an experienced pool contractor in Greenville, SC to carry out your pool construction. Don’t choose the first contractor you meet with; instead, obtain at least three estimates from experienced swimming pool contractors in your area. Along with estimates, ask for references and make certain to contact them. When speaking with references, ask about the experience they had with the pool contractor and if they would hire the contractor again for another pool installation job. It’s also important that you know what, if any, services your contractor will provide after the pool installation is complete. In other words, is your pool contractor someone you can turn to for pool upkeep and maintenance after the pool is done? If your pool contractor doesn’t provide additional service after sale, ask for suggestions on pool companies you can work with for maintenance and repair.